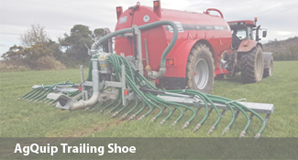 To cater for farmers requiring low emission spreading, HiSpec can offer a dribble bar solution from AgQuip. 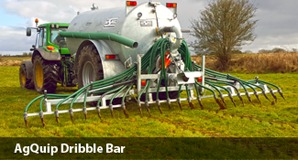 The AgQuip Dribble Bar has become extremely popular due to its simple design and ease of use. The AgQuip Dribble Bar is available in 6 or 7m working widths and both fold up neatly behind the tanker for transport. The dribble bar is mounted on a special rear access door complete with an A-frame mounting. This allows the dribble bar to be easily removed via simply lifting up from the A-frame. 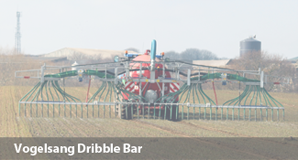 The dribble bar is designed to follow ground contour without exerting any downward force onto the ground. This ensures that there is no additional HP requirement to use the dribble bar. One double acting spool valve is required to work the dribble bar with a diverter switch between the folding and macerator functions. 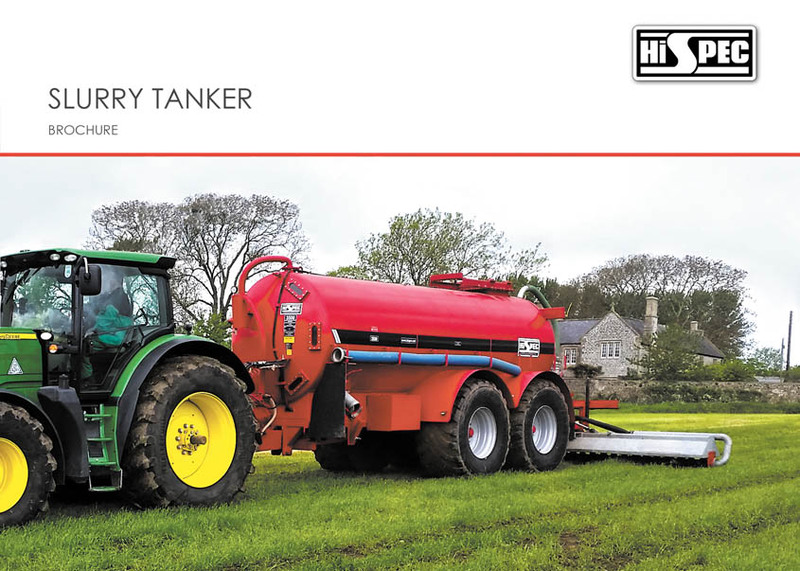 The splash-plate is also in-situ on the tanker at the same time so the farmer/contractor has the convenience of using either system without any removal. 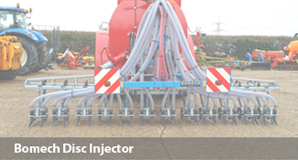 The AgQuip Dribble Bar uses a Vogelsang Exa-Cut distributor as standard to distribute the slurry evenly to each hose. 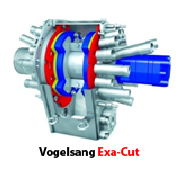 The Vogelsang Exa-Cut is a premium distribution box manufactured in Germany, it cuts and distributes in one step. 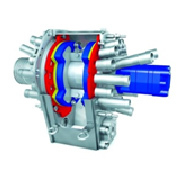 The Exa-Cut, driven via hydraulic motor distributes the slurry to the dribble hoses. It can be rotated in both directions from the cab to ensure an even wear on the blades and to prevent clogging and reduce maintenance. The Exa-Cut is complete with self-sharpening blades, and automatic knife adjustment. A pressure gauge is also fitted to the front of the tanker to warn the operator of blockages. In addition, the Exa-Cut is equipped with a heavy material separator, so stones can be easily removed. The frame of the AgQuip Dribble Bar is galvanised for long life. 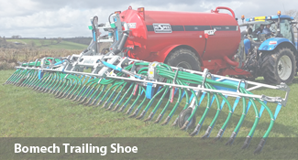 The lower section of the dribble bar will pivot to follow ground contours, and this allows the specially designed rubber boots to present the slurry evenly to the ground and reduce soiling. The dribble bar is fitted with road-lights as standard. It can be removed easily from the HiSpec tanker is needed and comes complete with its own storage legs.